I am an extrovert with social anxiety. I love talking with people but I am often very nervous, especially at first. I need to acknowledge everyone in the room or else I need to hide in the corner, there is no in-between. I try not to speak to those who often act like they wish to be left alone; I feel that is the most respectful thing to do, as well as the safest. I don’t really view people as “strangers” as much I see them as people whom I have yet to meet. Part of my problem is that I don’t do very well with facial recognition or remembering names….honestly, I just have no memory. I speak to people all the time when I am not exactly sure how or if I know them. I embraced a lady in one of my 12-step meetings and almost scared her to death…. I said, “Susan, so glad to see you!’ and I gave her a big hug. After a moment of my feeling doubtful and her being terrified, I said, “You are not Susan. I’m sorry, I thought you were Susan.” It was awkward, at best. Either way, she is a human. All humans want to be loved and accepted, that is an undeniable fact. Correct, not all humans want to be hugged by overweight, bearded men at recovery meetings, but we all want acceptance. A person that I don’t know is considered a stranger but getting to know someone does NOT make them less strange. Strangers don’t become normal-ers, they become people with whom we are familiar but become increasingly more strange as we get to know them. 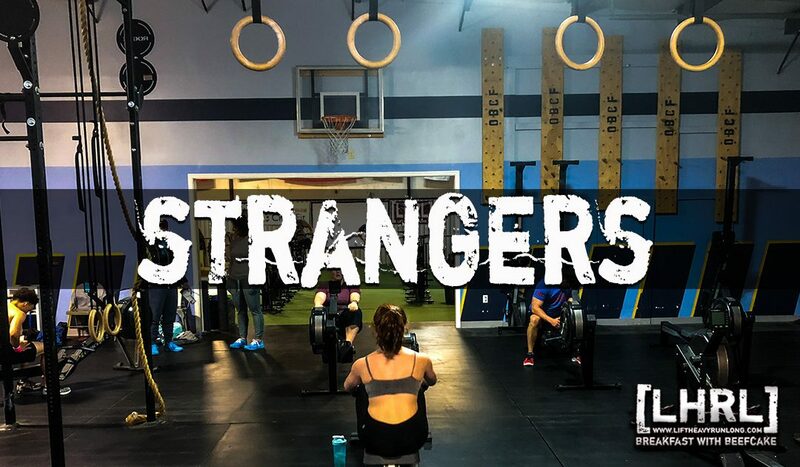 Get to know a stranger and they become your strange friend. We are all different. Everyone is a stranger.